John Keating is a fictional teacher in the film Dead Poets Society, played by Robin Williams. 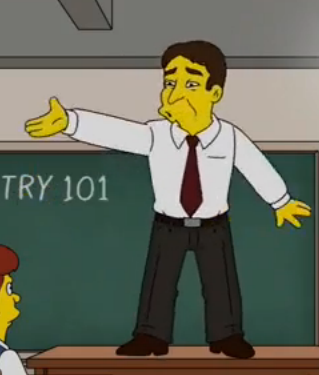 Homer watched Dead Poets Society to learn how to become a better teacher. He watched a scene of Keating reciting poetry to the class. John Keating is an actual character in the film Dead Poets Society. He was played by Robin Williams.